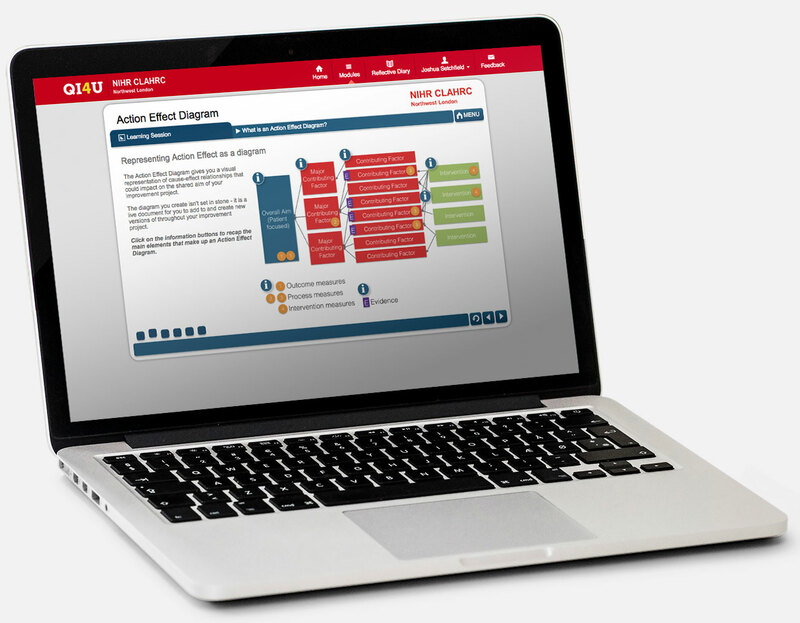 NIHR CLAHRC NWL has created eLearning modules that aim to make implementing improvements in healthcare more manageable by breaking down quality improvement approaches and methods into bite-sized practical pieces. 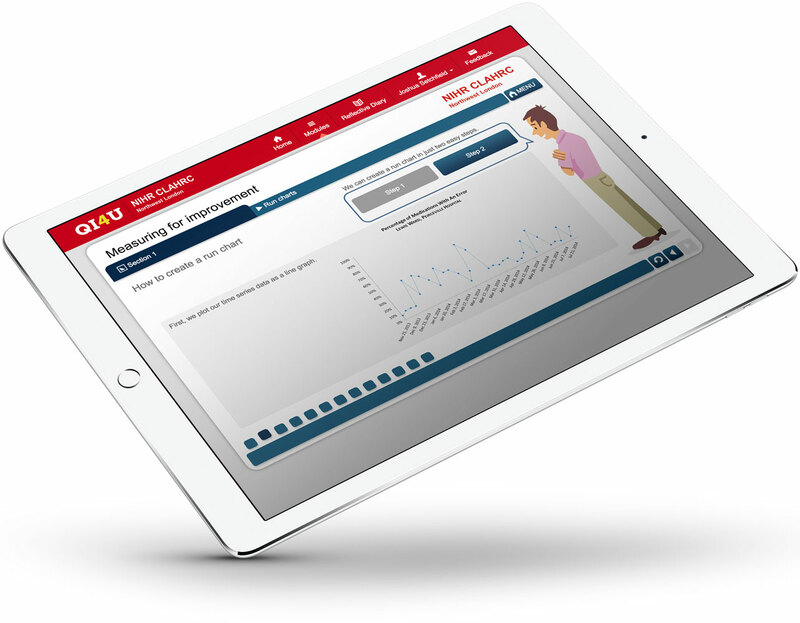 NIHR CLAHRC NWL has created eLearning modules that aim to make implementing improvements in healthcare more manageable by breaking down quality improvement approaches and methods into bite-sized approachable pieces. The modules will provide the learner with the knowledge to take part in or lead on quality improvement interventions and gives an introduction to a systematic approach for quality improvement. The modules will allow the learner to broaden their knowledge base, reflect on what they are learning and access further resources. QI4U allows a flexible approach to learning and is available at your convenience to complete at a pace that suits you and your other work/social commitments. Every module on QI4U is based on rigorous research and draws on a wealth of experience from healthcare professionals, managers, patients, academics and service users, who have over 9 years of experience in large scale quality improvement projects. Modules include recorded videos, animations, interactive elements, a reflective diary and downloadable templates. When you complete a course, you’ll receive a downloadable course completion certificate, accredited for CPD through the Royal College of Physicians. The following modules are available in the first instance with plans for adding additional modules in the future. Watch members of the QI4U team discuss the QI4U programme. NIHR CLAHRC NWL is committed to research of capacity building in quality improvement. Online learners are important participants in that pursuit. The information we gather from your engagement with QI4U makes it possible for our academic researchers, content developers and module designers to continuously improve our work. By registering as an online learner, you are also participating in research intended to enhance the learning content of QI4U as well as the quality of learning. NIHR CLAHRC NWL will not use learner data for any purpose beyond research and research findings will only be reported at the aggregate level without exposing any personally identifiable information. If you need help or want to contact us with feedback or wish to purchase licences for yourself or your organisation please use the form below. © 2018 NIHR CLAHRC Northwest London. All rights reserved.